Total System Power Draw PCSTATS measures total system power draw (watts) with the aid of an Extech 380803 AC Power Analyzer and A-PFC compliant Seasonic SS-760KM power supply. The meter is placed between the 120V AC outlet and the PC power supply and the computer stressed. Total system power draw is recorded and compared to the PC's idle state. With a videocard installed into the Biostar TH67XE motherboard, at idle state the PC system draws a total of 74W, with CPU loaded - 154W. The big difference in power draw comes when 3D graphics are stressed as you can see! While running on IGP graphics the Biostar TH67XE motherboard idles at 55W. Even after the IGP and CPU are stressed with Prime95, total system power draw doesn't rise higher than 112W. 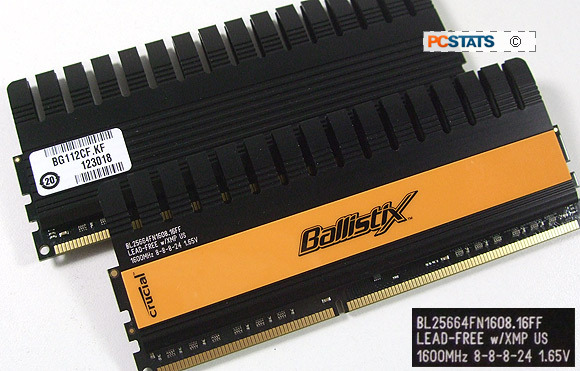 PCSTATS has relied on Crucial memory for its servers for years, so it was only logical to install 4GB's of high end Crucial Ballistix DDR3-1600 8-8-8-24 memory into the Biostar TH67XE motherboard test system. This is some good quick DDR3 RAM and it features thermal monitoring too! 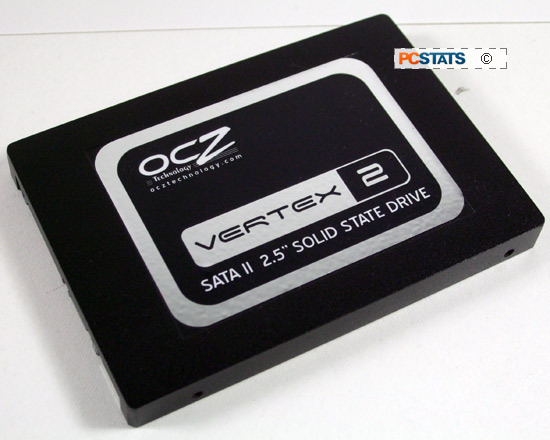 Storage devices have changed dramatically in recent years, you'll notice PCSTATS to retired the faithful old Western Digital Raptor's for a super quick OCZ Vertex 2 SSD (120GB, SATAII). The effect on system-wide benchmarks is dramatic! Thanks to Crucial Memory, OCZ Technology and Intel for help outfitting this test platform. Details on how the Biostar TH67XE motherboard was configured for benchmarking - including specific hardware, software drivers, operating system and benchmark versions - is listed in the Test System Spec chart below. Please take a moment to look over PCSTATS test system configurations before moving on to the individual benchmark results.